Here’s the thing about most financial resolutions: They don’t usually last even until the end of January. That’s because making a permanent change in our behavior requires both time and a steely resolve. But I’ve found that we can develop financial character one action at a time. That is why I am giving these out now so you can really get going. So in that vein, here are some financial practices to take you from pauper to prince or princess if you add one each year. If you’ve already got one down, move to the next on the list. #1 MOST CRITICAL: Resolve to become (and stay) debt free. Now, I’m not Dave Ramsey, but there’s a reason why he’s become so popular: his approach works. I’d say that you can have a fixed-rate fixed-year traditional mortgage on your house — but nothing else, please. No equity line of credit on your house. No car payments. Certainly no credit card debt. Because you simply have to learn to live within your income — which, unfortunately, sometimes means going without. The millionaires among us really are frugal. So learn to enjoy that process, and it’s a fantastic start. 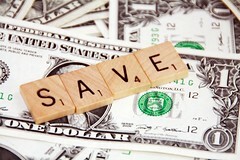 #2 Automate your savings (AKA Pay Yourself First). You can start by getting the entire match if your company offers a 401(k) plan. Usually this translates to saving 5% of your salary while the company contributes a 4% match, which is the fastest way to get an 80% return on your money. Most Americans forgo this match, believing they need to spend 100% of their salary. But you can learn to think like a millionaire and live well on 95% of what you make. If you don’t have a 401(k) plan, act like you do, and sock away 5% automatically by following step 4 below . #3 Fully fund your 2012 Roth IRA. This is $5,000 in 2012 and $6,000 if you are older than age 50. If you can’t manage the entire amount in January, put in $416 monthly. Automating deposits in an employer-defined contribution plan is easy. Fortunately, automating saving in a Roth IRA or a taxable savings plan is equally painless. Most brokers offer an automatic money link between your checking account and an investment account. Set your savings on autopilot, baby! #4 Save another 5% in a Private Reserve Strategy. This is a strategy designed to help develop or improve one’s financial position by avoiding or minimizing unnecessary wealth transfers where possible, and accumulate an increasing pool of capital providing accessibility and control. Want to know how to set one up, give us a call at 847-243-3600. Do it now! Let us know how you are doing. Leave a comment below.